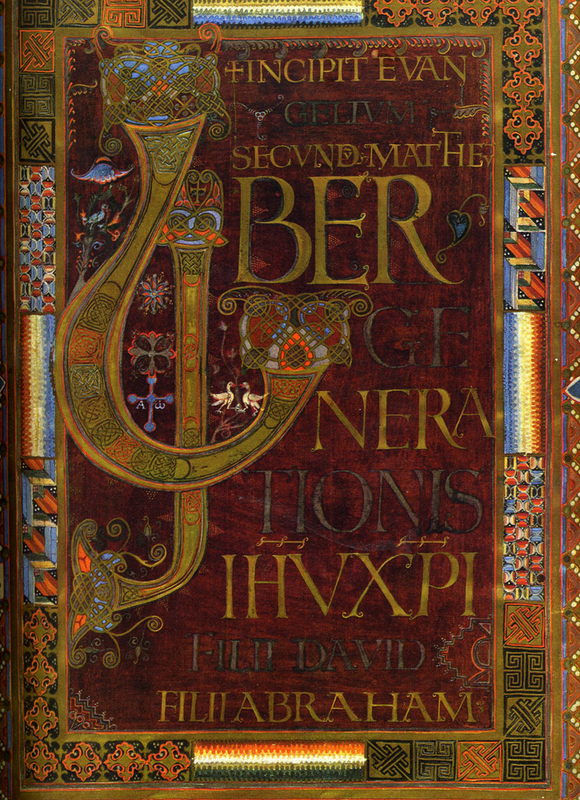 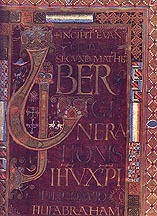 The Lorsch Gospels was one of the principal treasures of the monastery of Lorsch, near Worms Germany, was founded in 764. 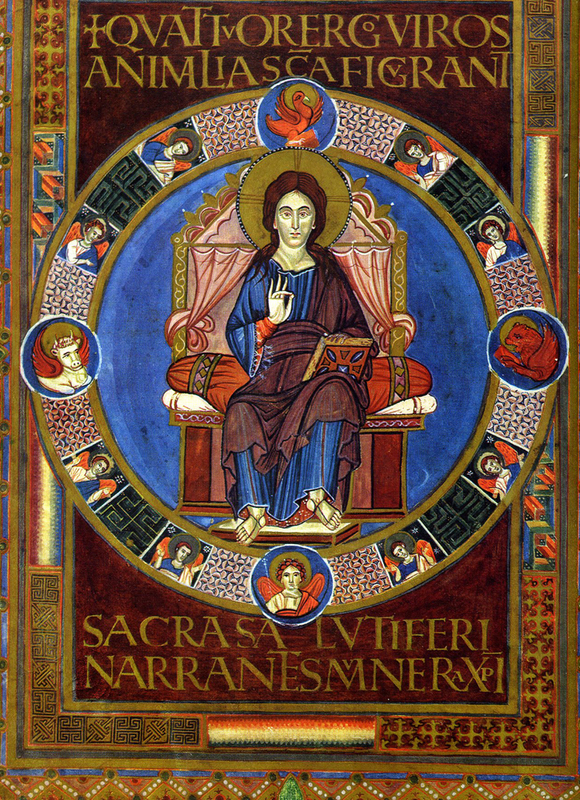 It became one of the wealthiest Carolingian Imperial monasteries. 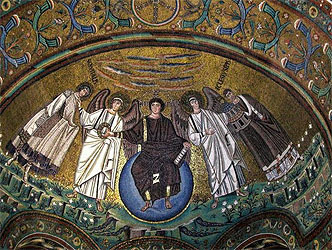 Charlemagne himself was present at the consecration of the second Abby Church of St. Nazarius in 774. 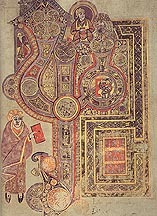 The Lorsch Gospels apparently was the last extant in a series of ceremonial manuscripts produced at the Court of Charlemagne. 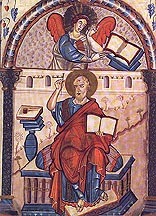 The book was written and illuminated in Aachen before Charlemagne's death in 814, probably about 810. 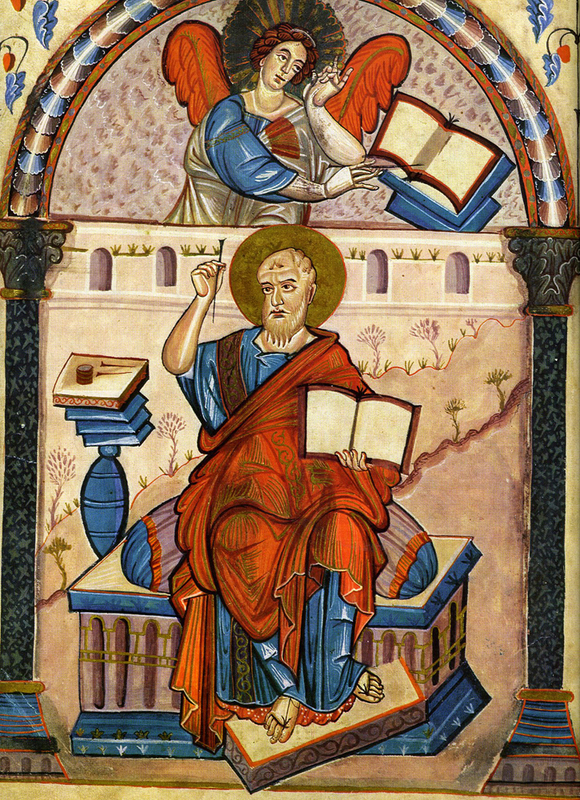 Each of the four Gospels begins with a title page and an initial page. 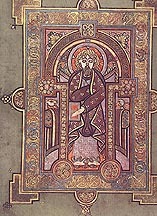 Of these the opening of St Matthew is given special prominence. 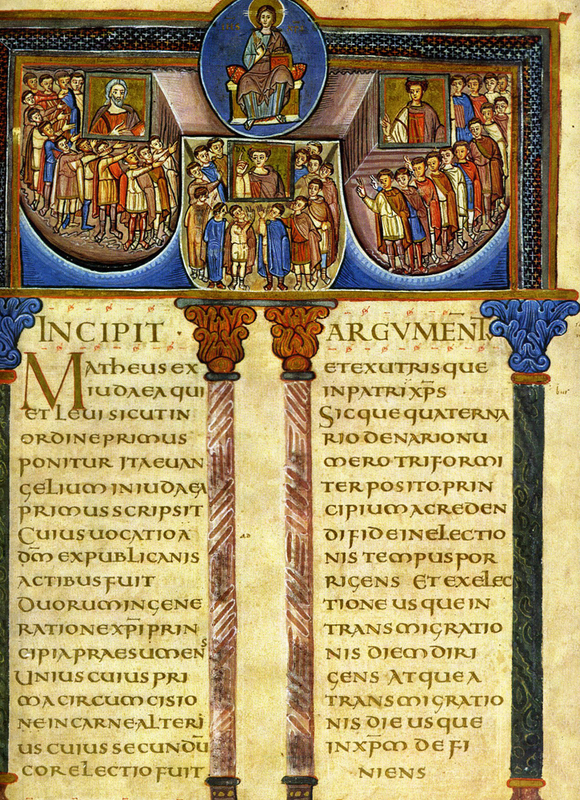 It alone adopts the Insular tradition of a full-page initial. 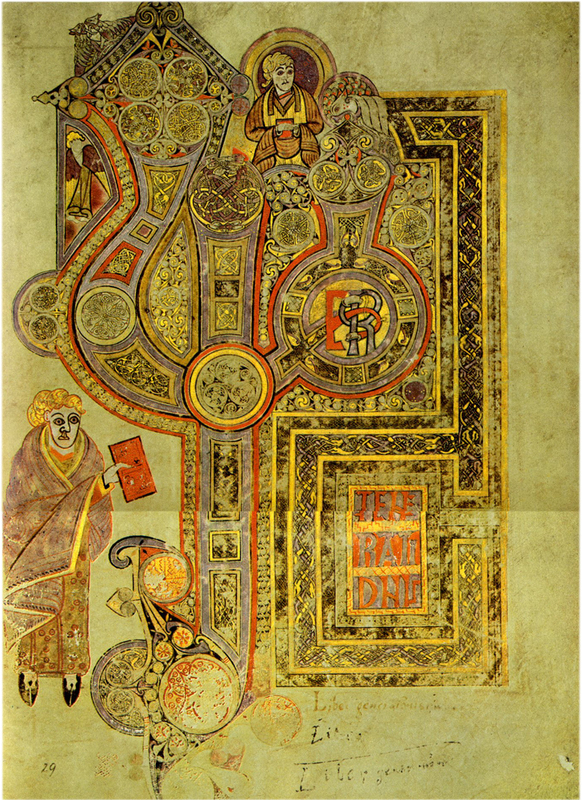 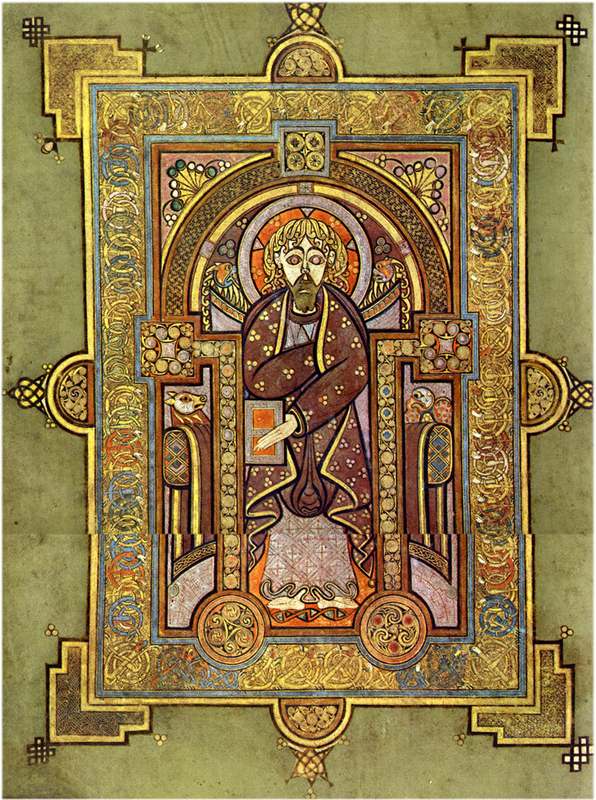 While this format along with decorative details like the interlace patterns clearly demonstrate the influence of the Insular tradition, a comparison of this page to the corresponding page from the Book of Kells indicates different approaches to book design. 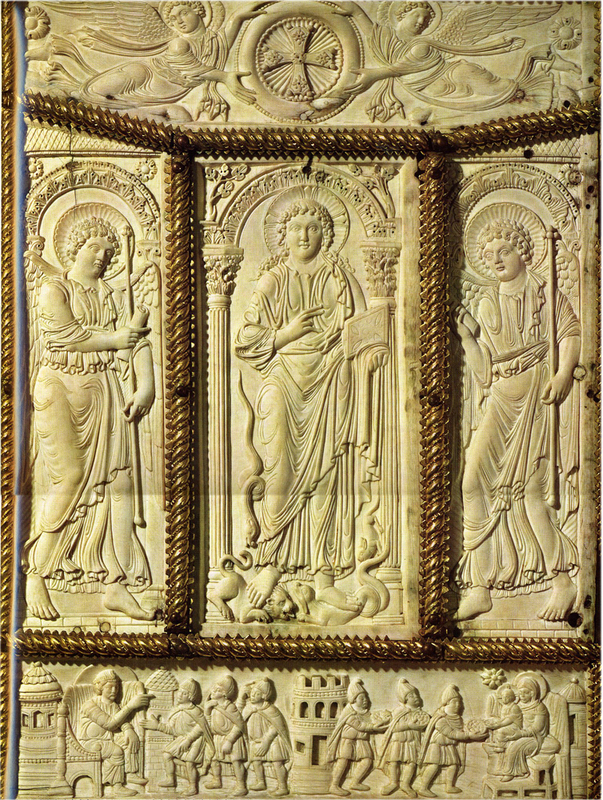 Ornamental details like the decorative motifs in the outer border, derived from metalwork, along with the painted copies of Antique gems clearly demonstrate how the manuscript is a mixing of Insular and Classical traditions. 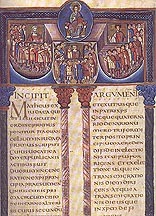 f. 14: Incipit of "Argument" for the Book of Matthew. 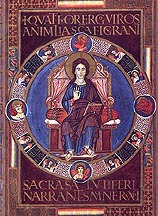 The miniature shows the generations of Christ. 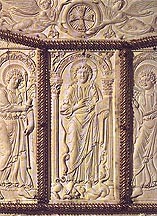 Christ appears in the mandorla in the center. 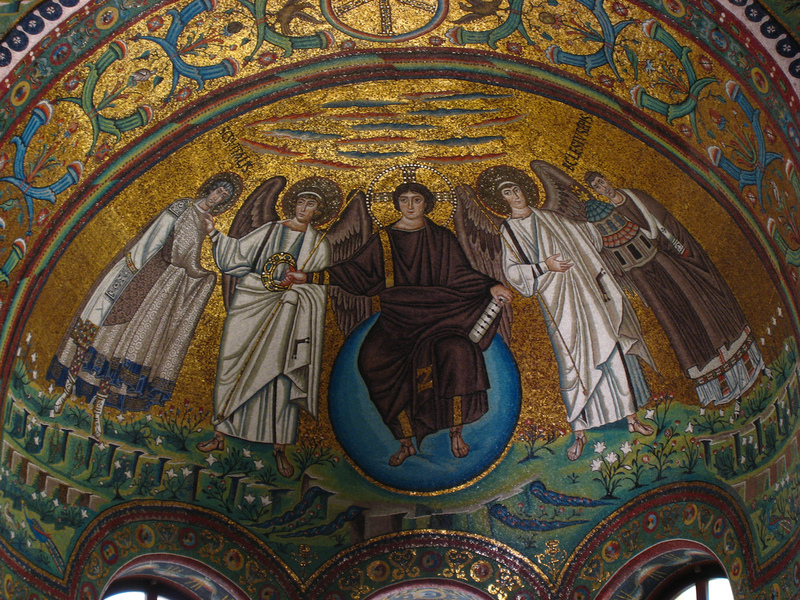 He is flanked by three groups of fourteen men. 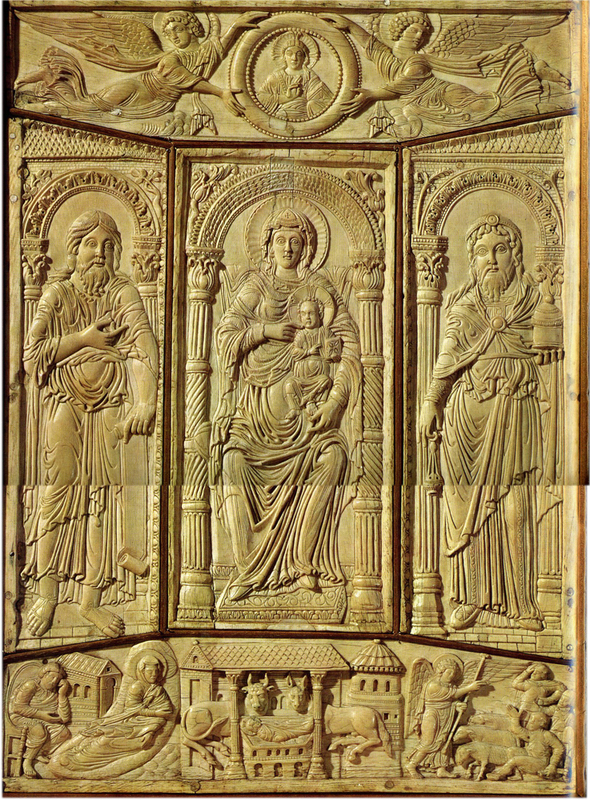 At the center of each group is a major ancestor of Christ: the patriarchs Abraham, David, and Jechonias. 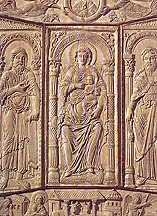 The images of the three ancestors are treated like portraits as seen in Late Antique imperial images.